Let’s say things are going along fairly well, status quo for you right now. Meaning there are no major bumps in the road, no out-of-the-blue surprise attack of a lost job, awful diagnosis, partner leaving, or any other major event that would completely throw you off balance and into a major melt-down. Then now’s the time to put some good stuff into your life and input some important ingredients to build your emotional and mental reservoir. Shifts in focus, little tweaks of priorities, change and actions to raise the bar of You. We know that even when life is moving along on an even keel, there is still lots of daily stress and little time for anything beyond our must-do’s. The time to work on building our core muscles of strength and resilience are when things are basically in check. Because when all hell breaks loose, and we’re thrown completely off balance on that rocky and unpaved road, that’s when we need to utilize and tap into what we’ve got to keep us afloat and pull us through the dark and painful muck. Make time for those dear relationships that you tend to put off with the excuse of ‘no time’. In-person conversation and activities together build rapport and increase those good feelings so important to our well-being. It’s the oxytocin, the neurochemical responsible for those loving, delicious feelings when snuggling with a baby or feeling close to a friend or lover. We want to maximize on that so that our overused cortisol (stress hormone) gets a rest for awhile. Cultivate those positive relationships where you feel supported, lifted, understood and cared for. Hang out with the people who encourage you and want the best for you. Minimize time spent with the debbie downers, the nay-sayers, the complainers and whiners. Remember you want to fill your bucket, not deplete it. You will then have them as loving support when your bad times come around. Intentionally practice gratitude. I know we all hear this ad nauseam but it truly makes a difference in our brain, our daily mood, and affects our overall coping and well-being. We’re wired towards negativity (negativity bias) and therefore have to work at shifting to a more positive focus, to taking in more of the positive. It takes small, frequent positive acts and focus to contribute to greater coping and strength-building. That one big vacation or gorgeous sunset won’t carry us for long or offset the negative beyond that moment. We all know how we can get nine comments of praise but somehow that one negative comment is the one we’ll focus on and ruminate over. So we need to input gratitude focus on a daily basis, however that may look for you – journaling, purposefully bringing it to mind, expressing it through prayers or self-talk. When my daughter, Nava, was critically ill and hospitalized for a year, one of the things I journaled and focused on was the fact that “at least she was in a wonderful hospital with amazing doctors and nurses.” Was I seemingly pulling at straws when all else looked so terribly bleak – perhaps. But it was one thing I truly believe helped me cope and continue putting one foot in front of the other each day. This is a way of reframing and looking for the silver lining. The exercise WWW – what’s working well, or what went well – is another way of putting our attention on the good aspects and growing that gratitude muscle. You will then have it as a tool to use when the going gets rough and you need some perspective to be able to see the good that there is to be found even in the pain and suffering. 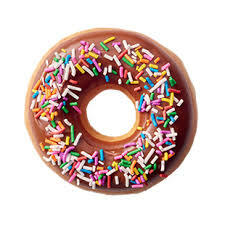 Here is one of my favorite metaphors and visuals: the donut. Are you focusing on the hole of the donut and all that’s missing, that you don’t have, or on the chocolate icing and sprinkles? The hole in your heart may be so big…. And there is still some thin layer of icing. Sometimes it takes time to get to the icing but it’s there waiting to be seen and tasted. Silence is crucial in our world today of bombarding distractions. We’re connected to everything but ourselves. We’re so into doing that we’re never just being. In fact, we look at being or not doing as wasting time or being unproductive. In reality we need to hear ourselves, hear our inner voices that speak to us through intuition and our gut, hear what’s bubbling up in there and rising to the surface. We need to shut down so we can open back up more revitalized, focused and engaged. We need to go inward so we can function outward in a mentally and psychologically healthier way. Keeping ourselves constantly engaged in all the appealing distractions takes us away from the inner quality of our lives, from our core center where our truest selves emanate. And of course, where calmness can begin to seep in. Whether you want to call it meditating or just sitting in silence a few minutes a day, it behooves us to reconnect with ourselves so we can bring our best self forth in the management of our lives; to enable us to live well into the meaning and purpose we discover and live for. I’d love to hear what you think after reading this. What pops up for you? Please share in the Comments section below.